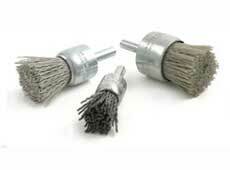 When you need abrasive nylon brushes, count on Brush Research Manufacturing to supply you with the best. 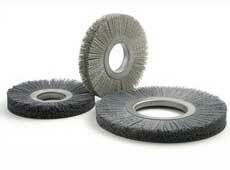 Our selection of abrasive brushes includes abrasive nylon cup brushes, solid end, twisted in wire and wheel brushes. 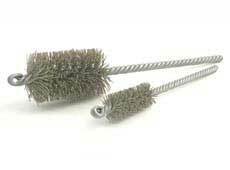 These brushes are best suited for cleaning, deburring, polishing and surface finishing applications. 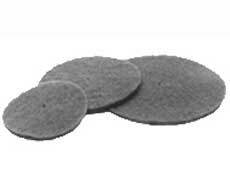 We also offer abrasive pads and discs, which are tear resistant and can be used with most solvents. 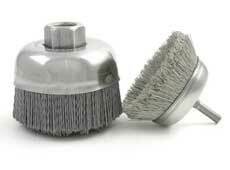 Place an order today to see for yourself how our abrasive nylon brushes can help you. Nampower Abrasive Disc Brushes and Composite Hub Abrasive Wheels are a high performance abrasive nylon alternatives to the standard abrasive brush product line.